Just because you have kids, doesn’t mean you need to stop travelling. 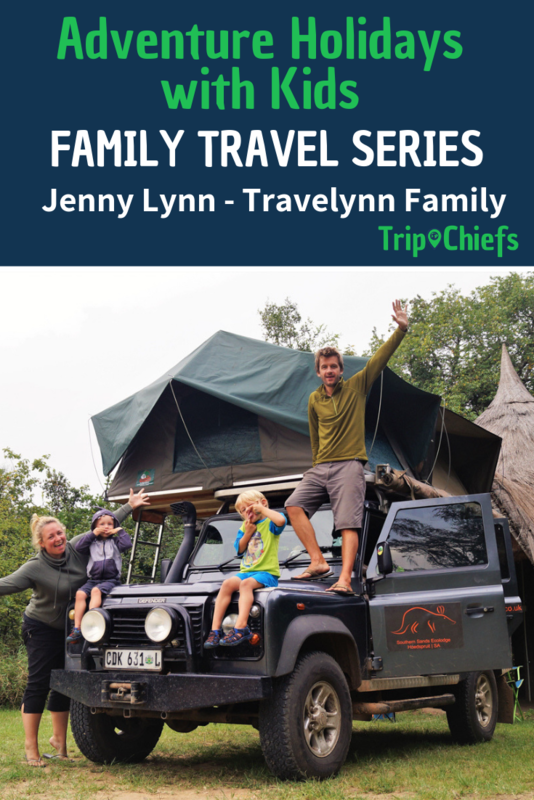 Meet Jenny Lynn who with her husband and two little boys aged 3 and 5 years have road tripped through Africa, trekked in the Himalayas, and been on so many wonderful adventures. 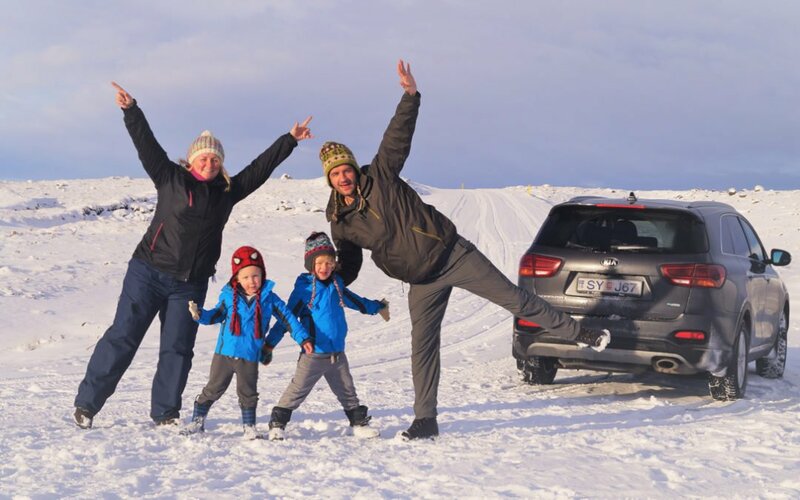 Take a look as this British family shares their story including what they wished someone had told them before they started to travel with kids, and what it’s really like to travel with young kids. What are the three favourite destinations you’ve visited? What do you love most about your family trips? 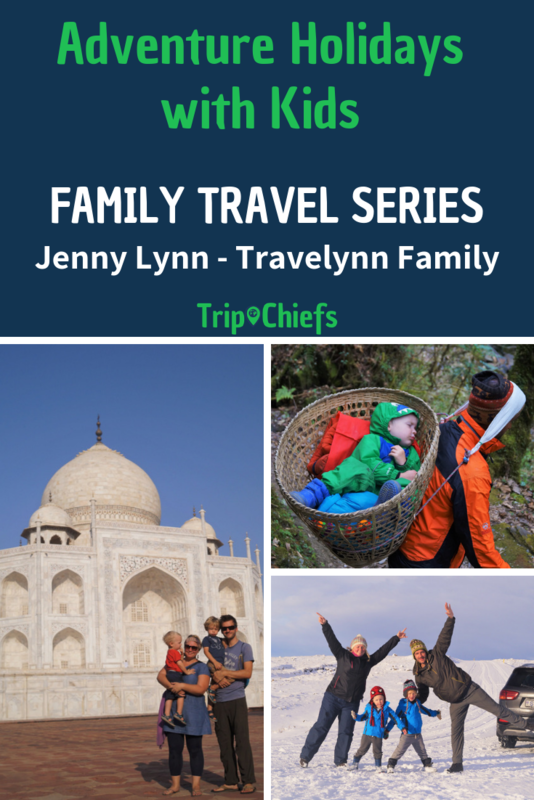 What’s the hardest thing about planning a family trip? What’s the hardest thing about travelling with kids? What tip(s) do you wish someone had told you before you started travelling? What do your children think of travelling with you? Where are you going on your next family trip? Mozambique, Thailand, and Iceland. Although if you asked me again tomorrow, or in a few hours, I’d come up with a different three. So hard to decide. Maybe I should just say Africa, Asia, and Europe? 🙂 We’ve never travelled anywhere that we’ve disliked and would not return to again. Travel enables us to create tight bonds and memories as a family. I want my boys to grow as global citizens, learning about different cultures and places, and for them to love and appreciate this planet we live on. Plus, hubby and I are rather travel obsessed. 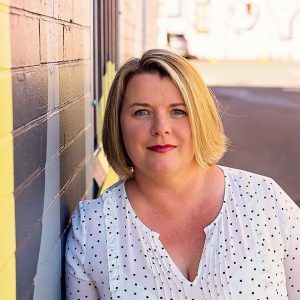 We travelled extensively for 14 years together before the boys were born, and we want to continue and share our passion with them. Time. It’s the time to be on our own schedule, time not distracted by other commitments, time to just simply share day-by-day experiences together. I also find my boys blossom so much when we’re travelling. It really does bring out the best in all of us. Planning around school terms. This is a new one for us. Before September last year, neither of my boys were in school, so we always travelled off-season and bought the cheap flights. With my eldest now in school, we have to be a lot cleverer about how we manage the time and money we have to travel. Not having as much time as we would like to switch off as a parent. I remember we found this tough when we were trekking in the Himalayas. 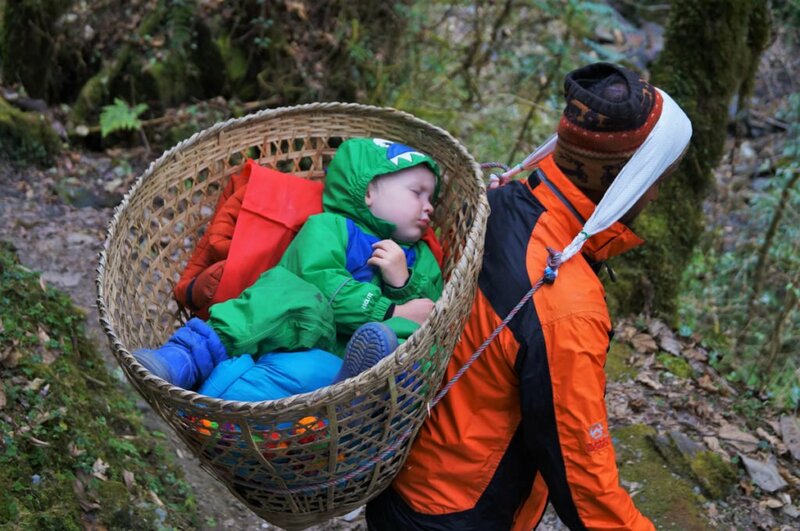 The boys would be carried in dokos (like baskets) by porters during the day if they got tired. Unfortunately, there were no dokos for us parents! So, when we arrived at a tea house at the end of a day’s hiking, us parents would want to sit by the fire with our feet up drinking chai. However, the boys, of course, wanted to play and we had to parent. Slow travel. It took a few trips to realise that this was the best way to travel with young kids. New places and cultures can be quite an overload on their minds, plus everything always takes longer with kids – a short stroll around a market can take a whole afternoon. Embracing slow travel definitely makes travelling life easier, especially when travelling long-term. They absolutely love it! 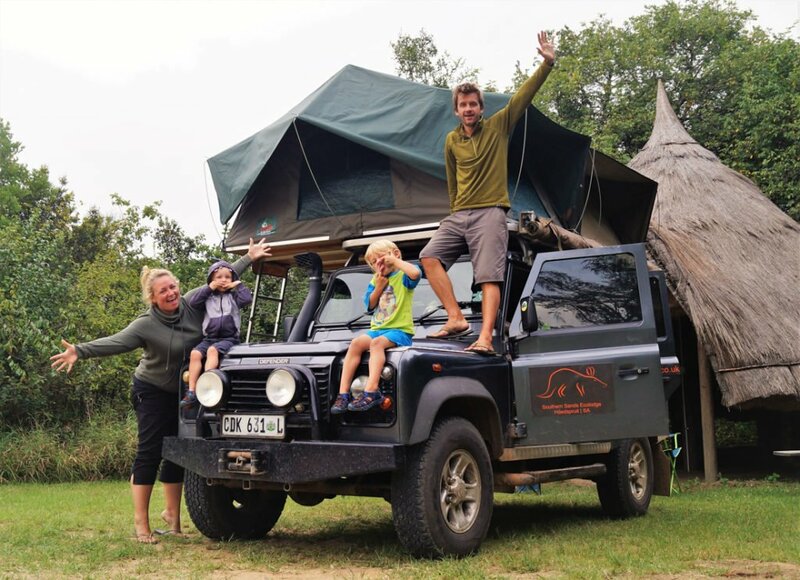 Last year we spent 101 days overlanding through Africa in a Land Rover with roof tents. We’ve been back in the UK now for 9 months, and they STILL talk about that trip. They get so excited about packing their bags and discussion about the next adventure. I hope that their enthusiasm continues as they get older! We perhaps let them think they help us plan it, but at the age of 3 and 5, any official planning comes down to us parents. But we do take on board things that they would like to do. Morocco! We’re going for 2.5 weeks over the Easter holidays. It will be our third visit there with the boys. It’s a fantastic destination with young kids as it’s easy to get around, it’s warm and colourful, and there’s a wonderful mixture of landscapes in a relatively small space – beaches, mountains, desert, and bustling cities. Oh, and there are camels. My boys love camels. England. After living in India and then our travels around Africa, we returned back July last year and moved to the Peak District. We’re in a National Park and we love all the wide-open space, and green rolling hills on our doorstep. We do a lot of hiking with our boys. I’m a blogger. Before this, I’ve been a software consultant, actor, travel agent, swimming teacher, and even a wine consultant. But once the boys came along and we moved to India, I started the blog. 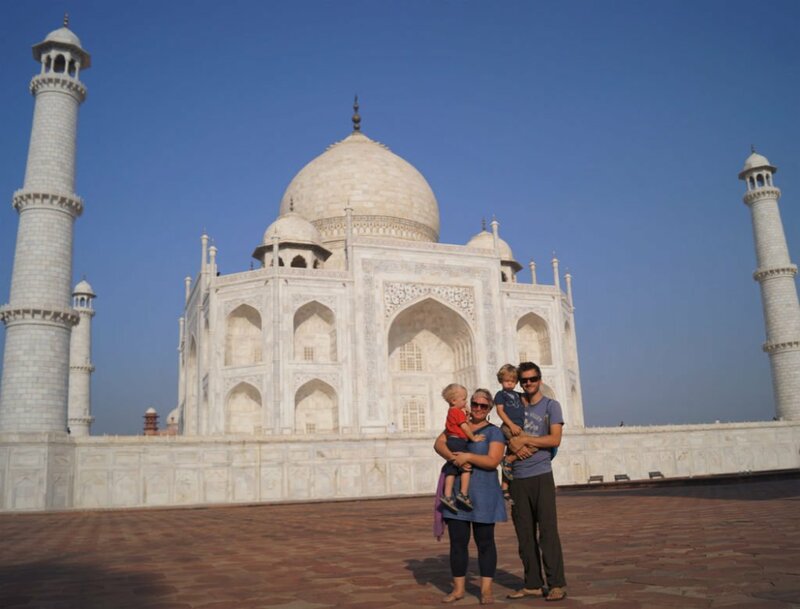 It began as a creative outlet to share our travels and experiences with like-minded parents but has now grown into providing an income and travel opportunities, and I absolutely love it. You can find lots of itineraries, experiences, and tips from our travels, mainly across Africa, Asia, and Europe on our website. Follow our travels as they happen on Facebook, and Instagram. And now and again I’ll pop up on Twitter too.